Soak glutinous rice for 4 hours. Drain and set aside. Add 150 ml water into glutinous rice. Steam over high heat for about 30 minutes or till cooked. 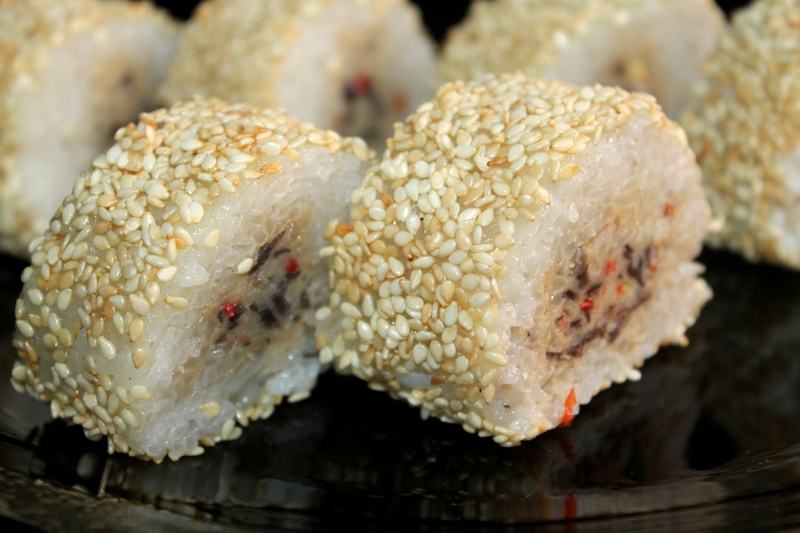 Mix steamed glutinous rice with oyster sauce, light soy sauce, dark soy sauce and white pepper powder. Set aside. Meanwhile, using the meat mallet, gently pound the drumsticks to ¼ inch. Rub the chicken with CLAYPOT Emperor Chicken Mix and marinate for 2 hours. Place the chicken on aluminium foil. Press glutinous rice over the surface of each piece of chicken. Starting with one of the long sides of the chicken, roll it up tightly. Repeat with the remaining chicken. Wrap each of the chicken in aluminium foil and steam over high heat for about 30 minutes. Serve hot. Rendamkan beras ketan selama 4 jam. Tiriskan dan ketepikan. Campurkan nasi beras ketan dengan sos tiram, sos soya ringan, kicap hitam dan serbuk lada putih. Gosokkan ayam dengan CLAYPOT Maharaja Chicken Mix dan marinate selama 2 jam. Letakkan ayam pada kerajang aluminium. Tekan beras ketan di atas permukaan setiap ayam. Balut setiap ayam dalam kerajang aluminium dan wap selama lebih kurang 30 minit. Hidangkan panas. Savour the traditional Chinese delicacies of Claypot’s Herbal Soups from Malaysia. The fascinating land of natural beauty boasts a multi-racial society with wonderful cultures and famous landmarks. Like the richness of its country, Claypot serves up unique recipes blended with some of the finest herbs and spices.